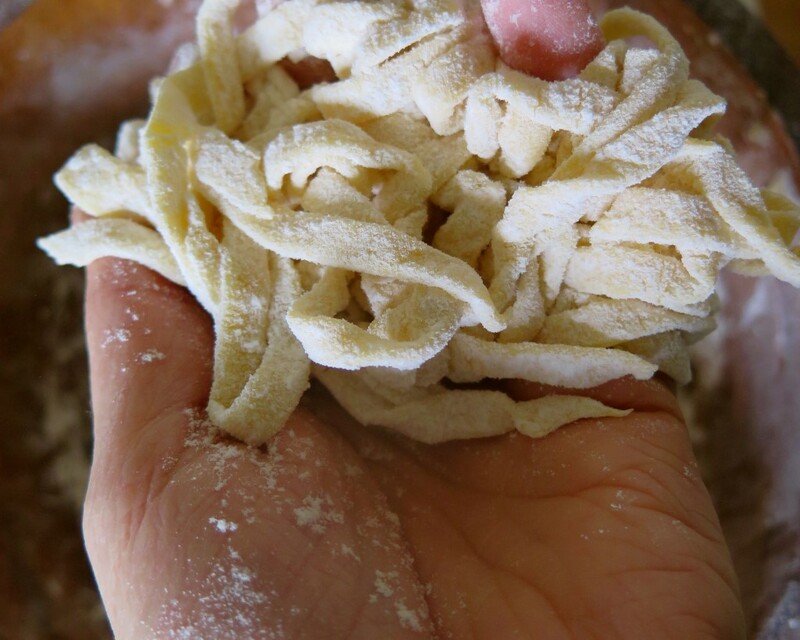 Despite what some people think, making pasta is actually really really easy. 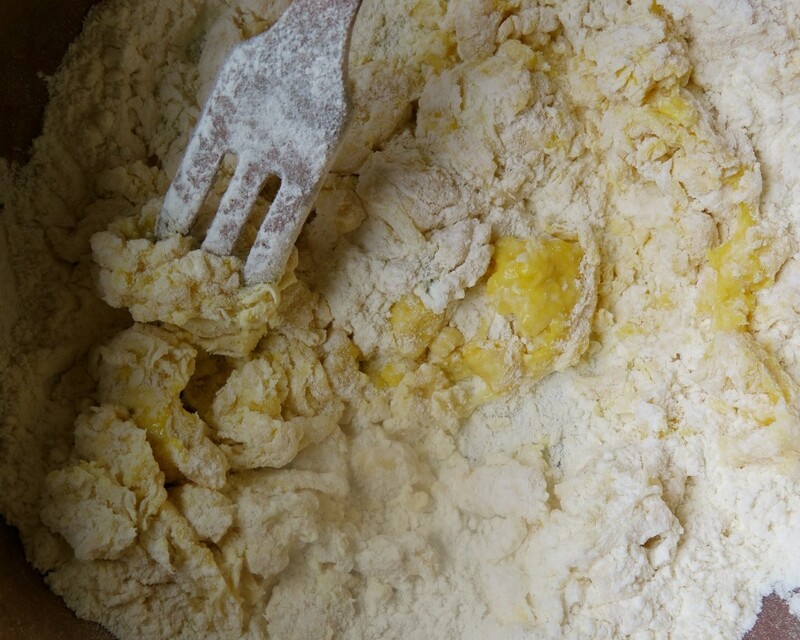 All you need is egg and flour, sure you can add herbs and spices, but you don’t need to. I love making it because yes, it tastes good but also because it’s plastic free, no packaging at all – which is how food should be. Here’s how we do it at home. Crack some eggs into a bowl, use as many eggs as there are people who’ll be eating – we’ve got two people eating, so we use two eggs. 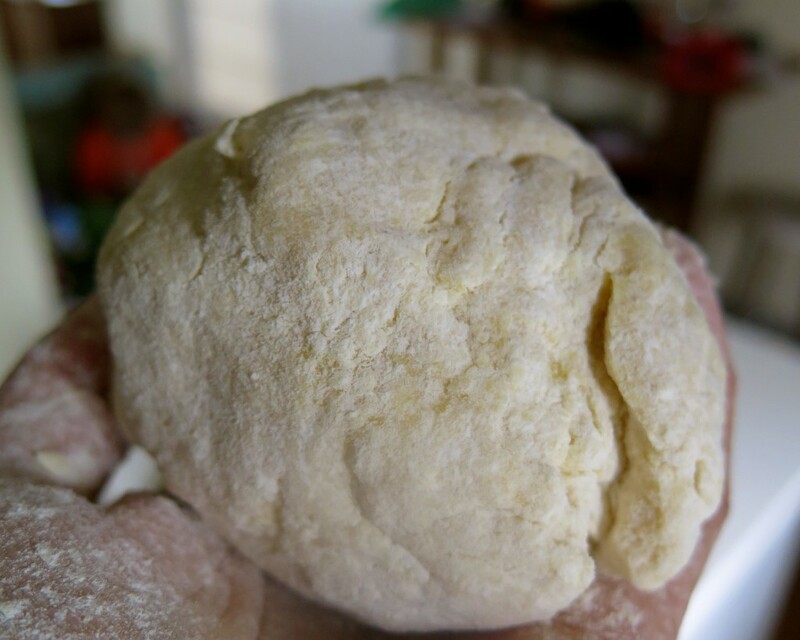 Start adding flour and mixing it in until you have a good dough consistency. We don’t use actual measurements, just keep adding until it feels right. 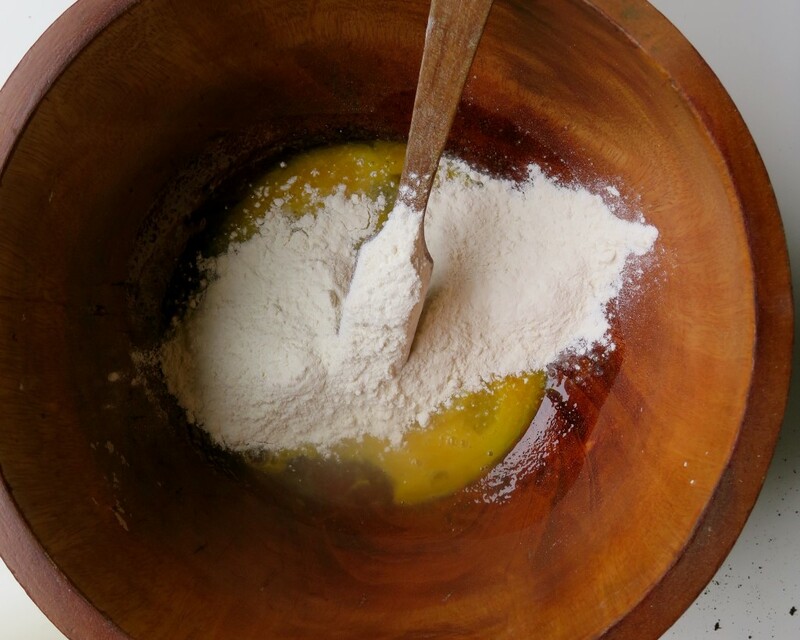 We mostly use white or wholemeal wheat flour (sometimes a mix of spelt and buckwheat), however you can use most – some gluten free flour will have trouble and fall apart, there a re lots of recipes out there, like this one. 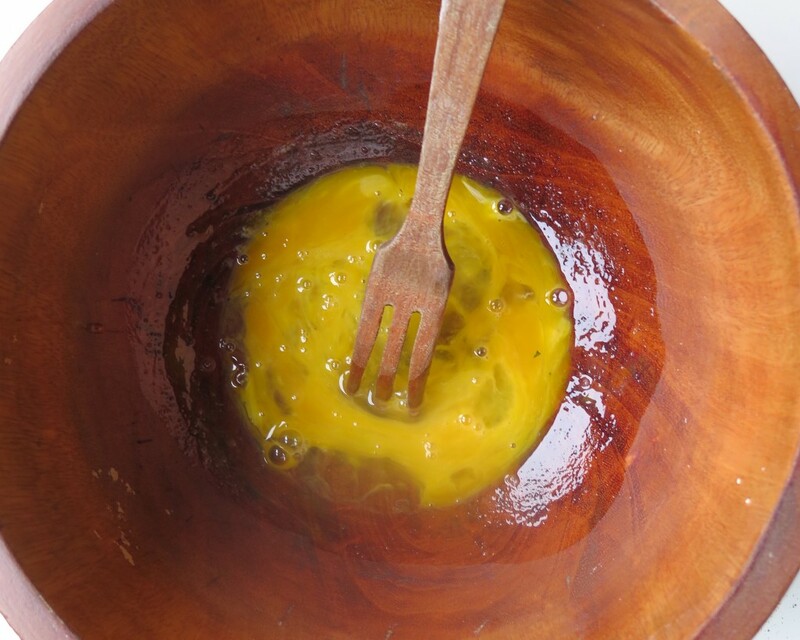 Towards the end of the mixing, ditch your mixing tool and use your hands to finish it off. 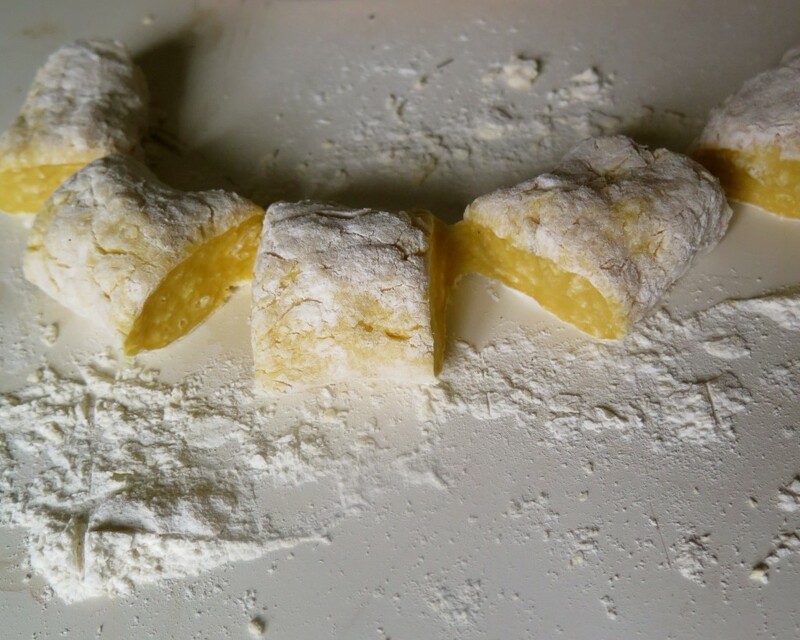 Make sure there’s a nice layer of flour on it so it’s not sticky to touch. 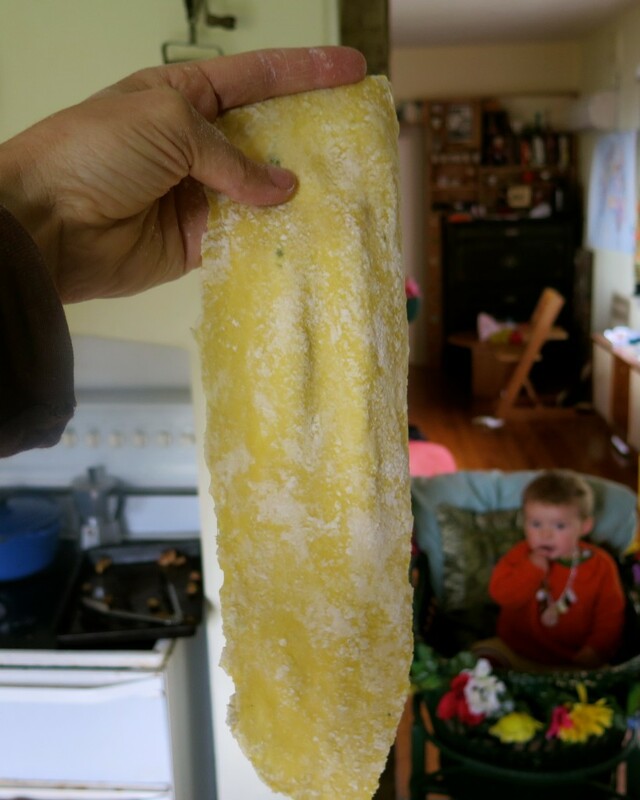 Wrap it in a plastic bag and pop it in a cool place or the fridge for at least 20 minutes. You can actually leave it there for days if you like, it’s simply helping it to ‘become one’ so it stays together nicely for the next steps. 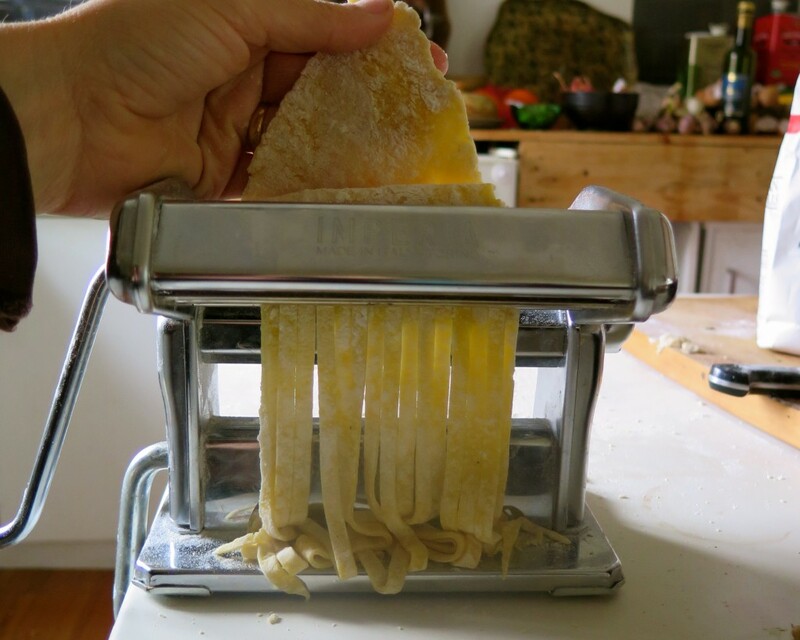 I got given a pasta machine around 10 years ago for a birthday present – it’s tops. 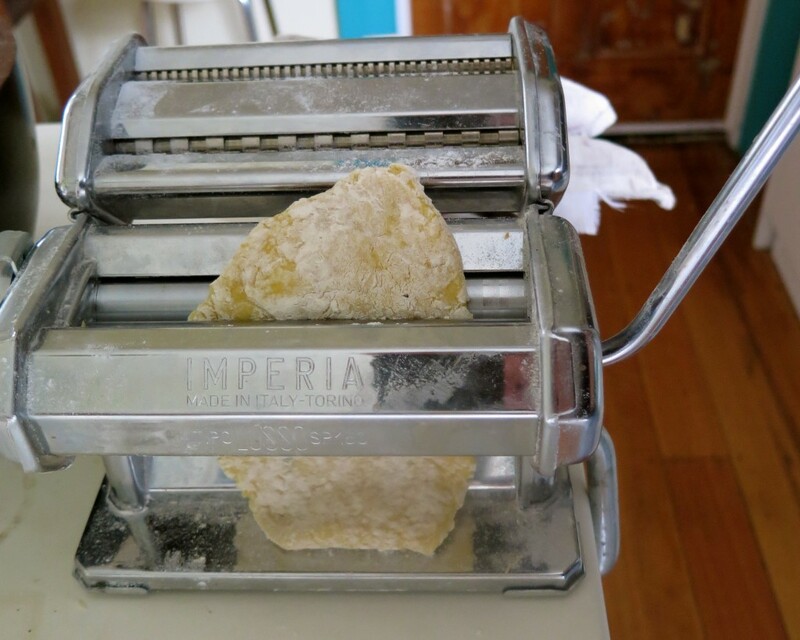 We use it to make pasta (surprise, surprise), lasagna sheets and ravioli. However, you don’t need it, you can use a rolling pin (or a bottle of wine if you haven’t got one of those) and a knife. 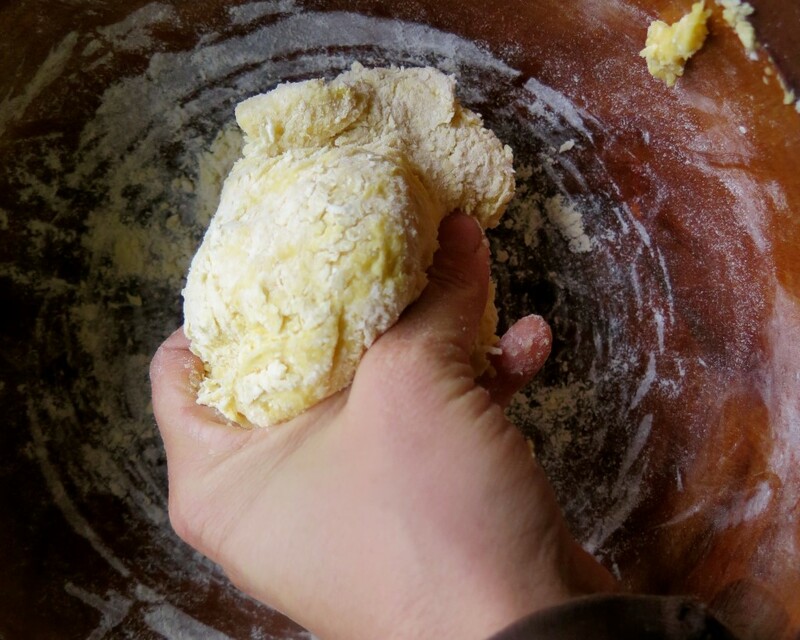 Get your dough out of the fridge and shape it into a sausage and then cut it into pieces to make it easy to roll out. 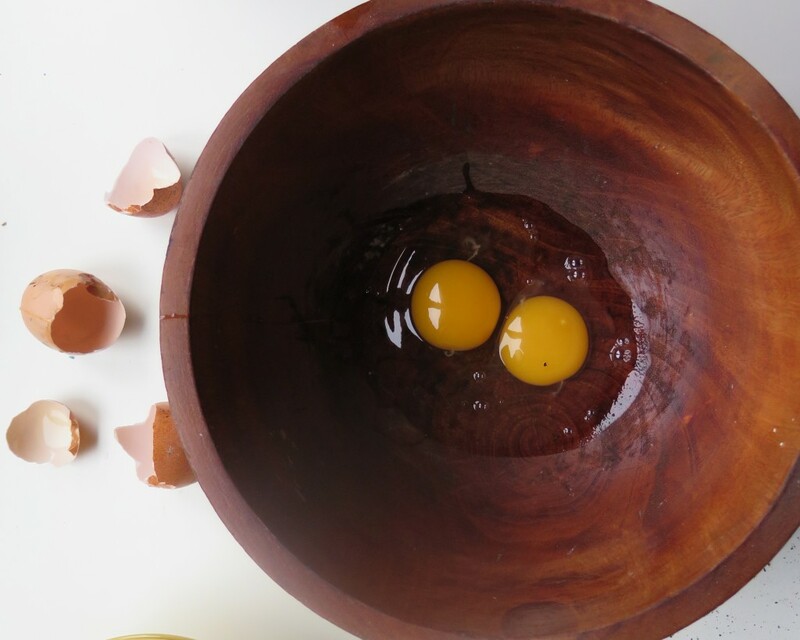 Using just your hands, roughly massage each piece into a basic small oval. Now you’re ready to pop it through the pasta machine (or roll it out), start at the ‘thickest’ setting to give them the once over. 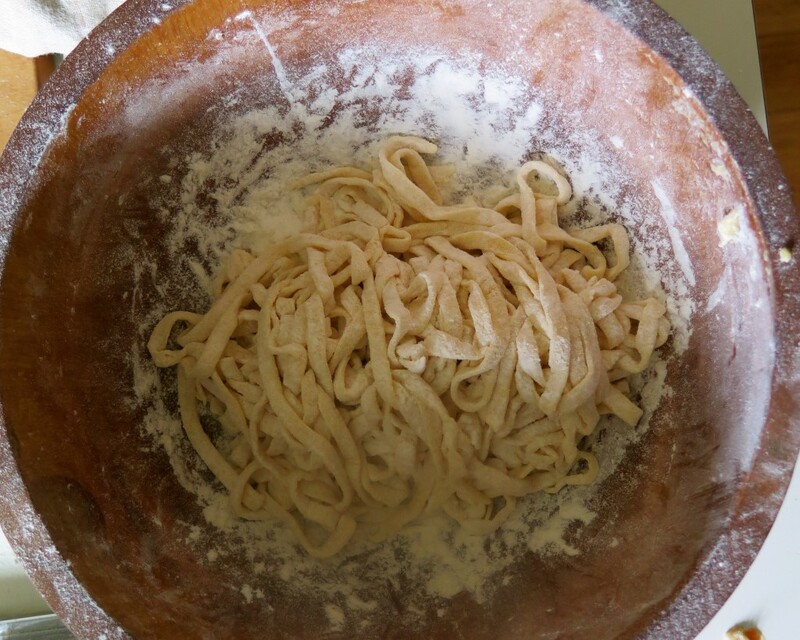 You can then jump straight to the thickness you want to make it as thick or thin as you desire. 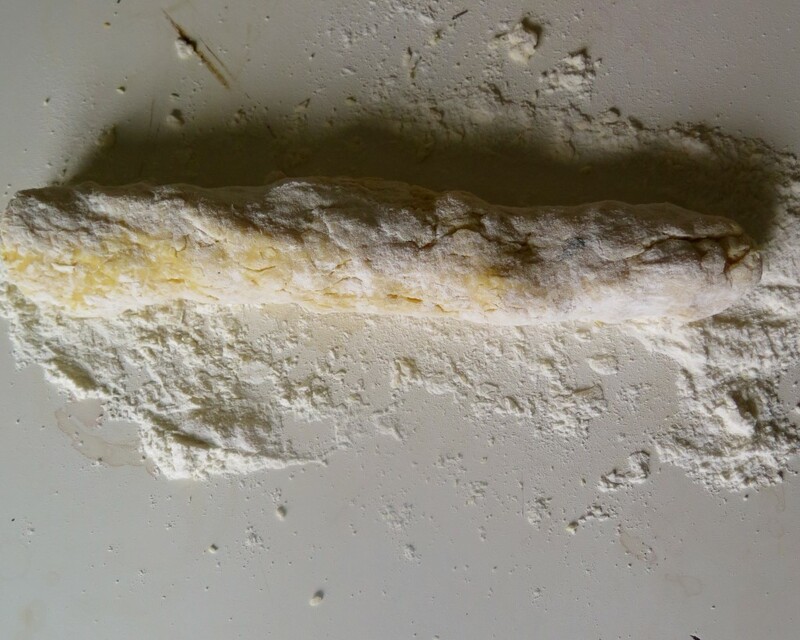 I never go to the thinnest layer as it can sometimes fall apart (depending on your flour). My long and strong sheets and little Frida in the background, wondering when I’m going to go play with her. 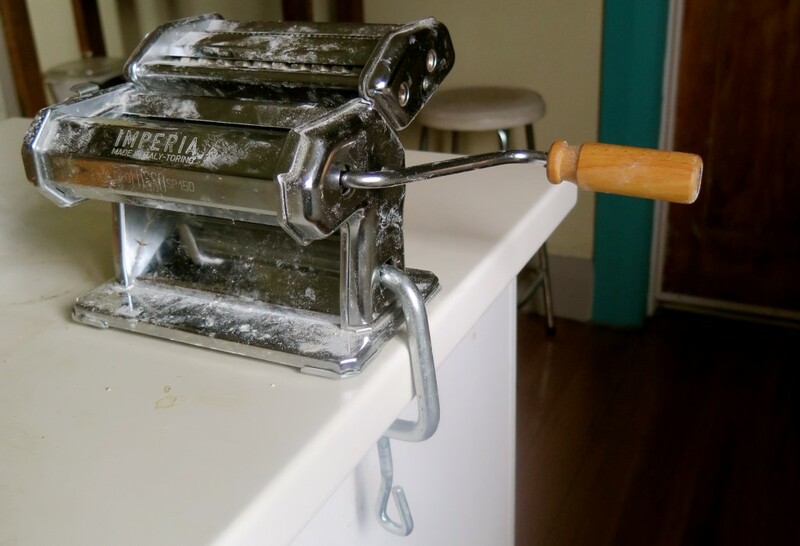 You need to make sure you add more flour onto each sheet before you work with them so they’re never sticky, otherwise they can easily clog up the pasta machine and rip easily. 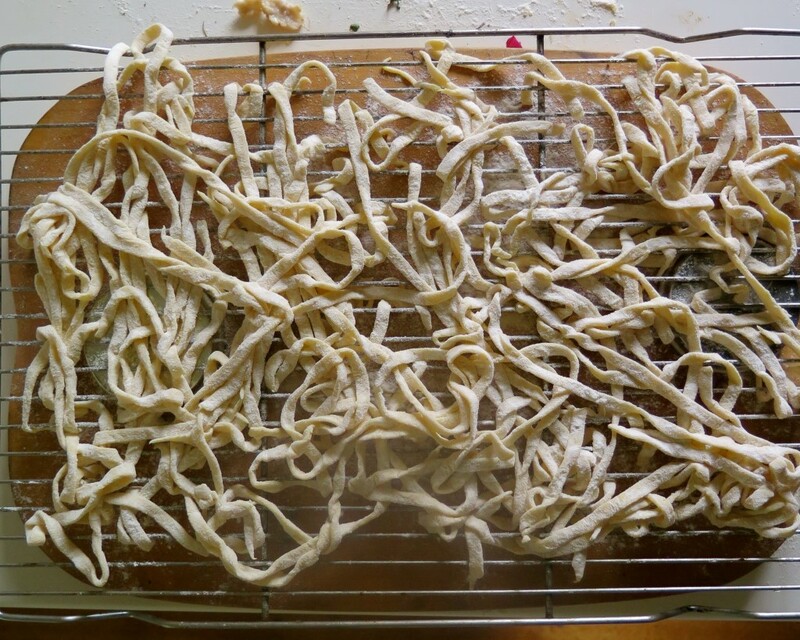 You can now choose your style of pasta (flat or skinny worm is what I call the options) and pop the sheets through as below. Perhaps the best hot tip I ever learned was that from here you can just throw them in a bowl of flour (so they don’t stick together). 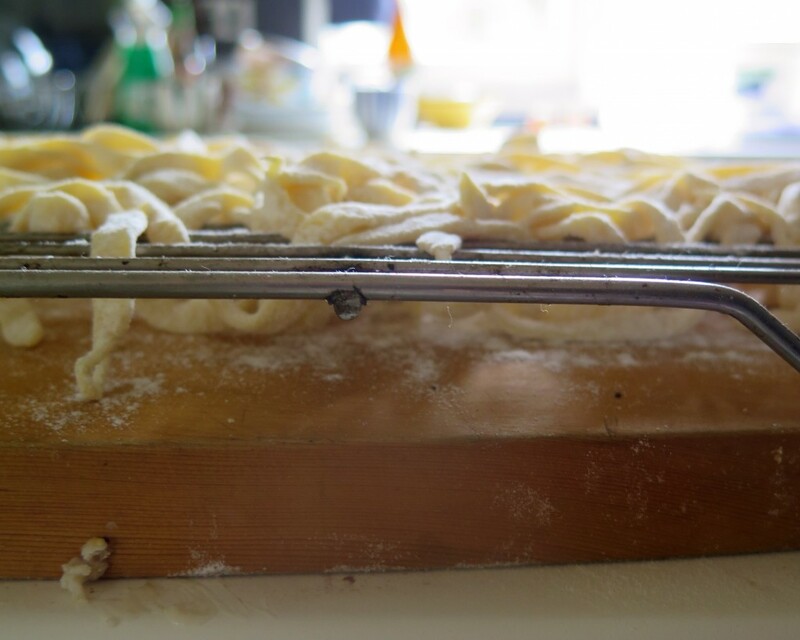 You don’t need to sting up clothes lines everywhere in your house to dry your pasta. 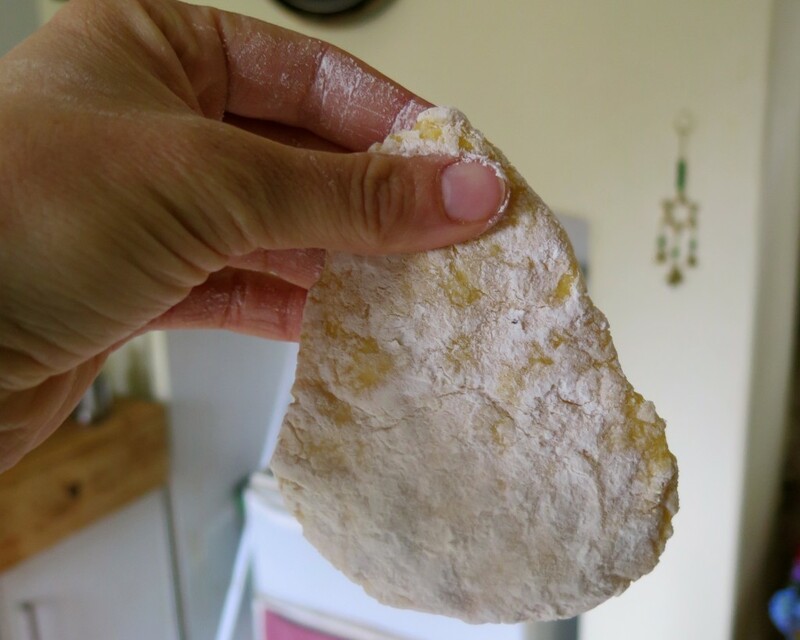 This was a bit revolutionary for me and adds to the easiness of the whole process. Usually I cook it straight away, however if you need to dry it out for later, just throw it out onto something like a cake rack so air can flow around it to dry it evenly. 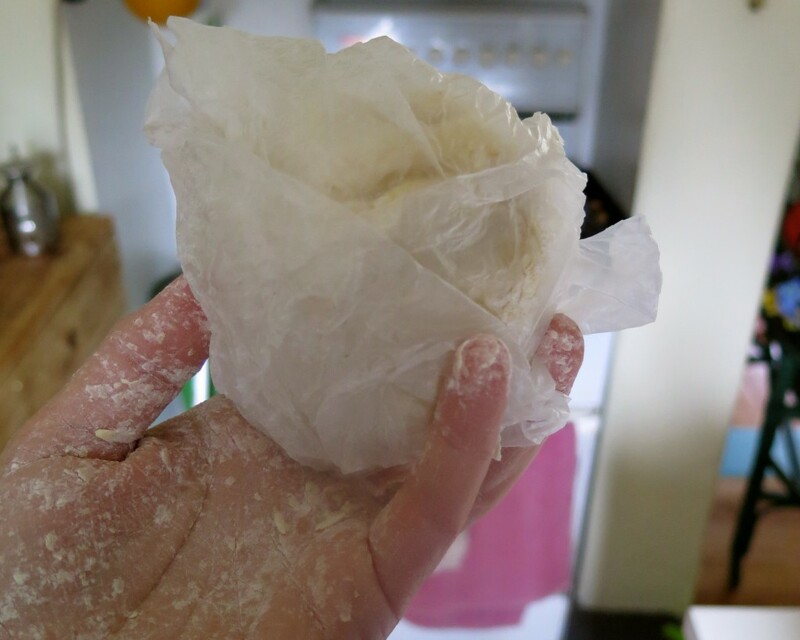 Once completely dry, you can pop it in a paper bag (so it can breath) and store it for a few weeks and probably months in cooler climates (it never lasts that long for me). When you do cook it, make sure you hang about. Unlike stuff from the shop, it’ll only take a couple of minutes in boiling water so don’t walk away from the stove, otherwise you’ll end up with something resembling clag glue. And as you can imagine, it tastes bucket-loads better than anything you’ll buy from the shop… Enjoy! didn’t realise it was so easy! we’ll definitely be giving this a try, great post! Yup, super easy Fast-SoS. Enjoy!